Primarily Color, a photo by James Neeley on Flickr. 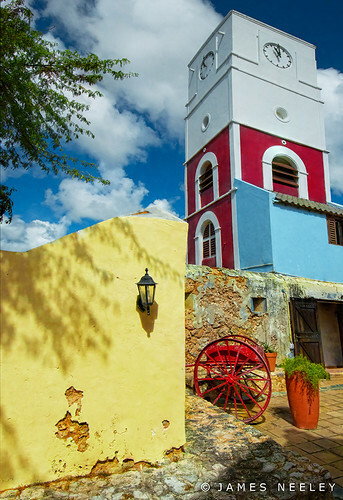 Fort Zoutman, the oldest building in Oranjestad, was restored in 1983 and is now the Historical Museum of Arruba. This shot reminds me of a children's song I used to sing... "The primary colors are 1-2-3, red, yellow, and blue..." It is the large blocks of color that appeal to me in this perspective.